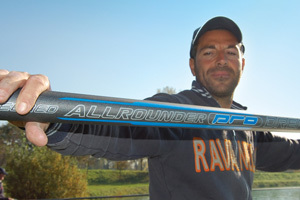 Maurizio Fedeli was born in Pavia July 9, 1972. Fishing since childhood, he start he’s competition fishing career on SPS Olona team in Filighera, few kilometers from home . After many years of competitions and experience with this team he joins the Ticino Garisti of Pavia, a prestigious team with wich he competes for two years. Then Maurizio move to Bassa Lodigiana Senna team, where he start to win many competitions, and he became area champion for two consecutive years. 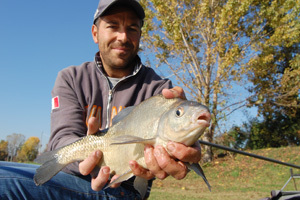 On beginning 2004 he start to cooperate with Trabucco firm, and on the meantime he joins Cannisti team, with wich he became well known in the all national circuit, thanks to some very good results. 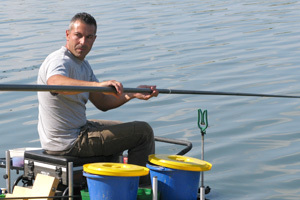 After 3 years on Cannisti team with excellent results, is noticed by the management of the most succesfull Italian team : Ravanelli Trabucco, where he begin a new and important adventure on 2007. 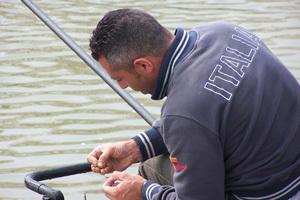 Soon Maurizio became a first level match fishing agonist and very important for he’s team, next target is to get in the Italian National Team, target that has been touched several time but never reached yet.